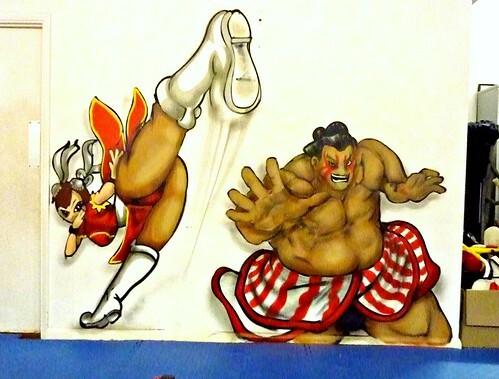 Chun-Li and E.Honda from Street Fighter 2 were added to the walls of Total Dojo. This entry was posted in Artwork and tagged Chun-Li, E.Honda, James Russel, self defence training in milton keynes, Street Fighter 2, street fighter 2 graffiti, Thai boxing in milton keynes, the best self defence training in mk, Tony Davis, Total Dojo, Total Dojo Bletchley, total dojo thai boxing training. Bookmark the permalink.